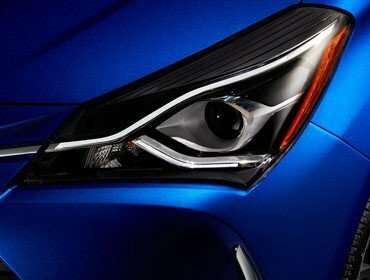 The 2018 Yaris is all about character—new features and style that offer you everything you need, and nothing you don’t. Available 16-in. wheels add to the car's sporty upgrade-with clever dark accents that help you get to where you're going in style. Standard EntuneTM Audio 6.1-in. touch-screen display with USB and Bluetooth connectivity helps get you to where you're going more conveniently and intuitively. This handy feature with all of its capabilities, like advanced voice recognition, make it feel like there's always a friend to guide you along your ride. Available EntuneTM Audio Plus With Connected Navigation App helps you find your way from A to B much more conveniently. It comes Equipped with Scout® GPS Link APP, allowing you to pair your smartphone for turn-by-turn directions. With standard integrated Bluetooth® technology, you can make and take calls and enjoy music without ever touching your phone. When you're in reverse, the standard integrated backup camera offers you a helpful view of what the camera detects from behind your Yaris. Using an integrated camera and laser or radar to help detect other vehicles in front of you, the Pre-Collision System (PCS) can prompt you to take action using audio and visual alerts if it determines a frontal collision is likely. If you notice the potential collision and apply the brakes, PCS may apply additional force using Brake Assist. If you don’t brake in time, PCS may automatically apply the brakes for you, helping to minimize the likelihood of a frontal collision or reduce its severity. Yaris has nine airbags, which include a driver and front passenger Advanced Airbag System, driver and front passenger seat-mounted side airbags, a driver knee airbag, driver and front passenger seat-cushion airbags, and front and rear side curtain airbags. Travel safely with more peace of mind. Yaris comes standard with this suite of six advanced safety features designed to help keep you out of harm’s way. The system includes Vehicle Stability Control (VSC), Traction Control (TRAC), Anti-lock Brake System (ABS), Electronic Brake-force Distribution (EBD), Brake Assist (BA) and Smart Stop Technology (SST). Find new adventures without worry. 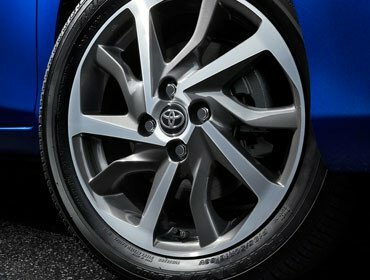 Toyota is devoted to safety and dependability, and proper vehicle maintenance is important to both. That's why we include a no cost maintenance plan with the purchase or lease of every new Yaris for two years or 25,000 miles, whichever comes first. 24-hour roadside assistance is also included for two years and unlimited miles.